Quartz crystal is the most widely used crystal when it comes to conducting electricity. It’s resistance to wear and heat, added to its ability to regulate electricity, makes it a highly valuable substance for technology engineers. Quartz crystal is one of the shapeliest and hardest crystals. It is commonly found around the world. 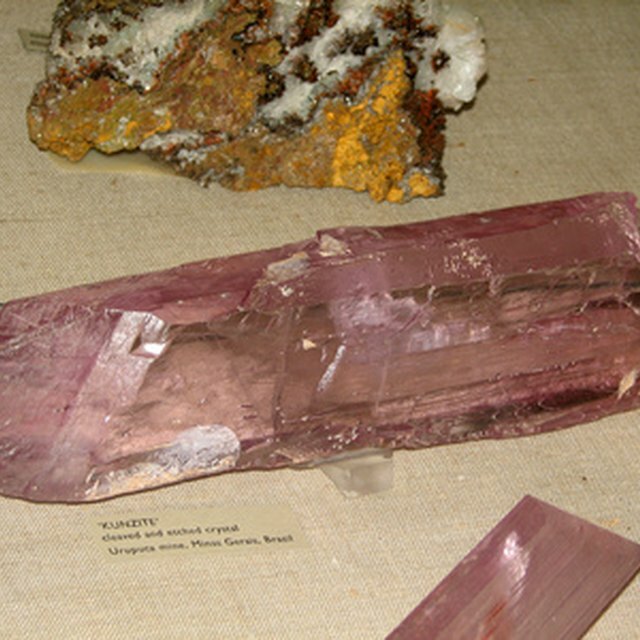 Quartz is used in radios, computers, televisions and watches because of its conductive properties. Some solid properties of crystals carry over into their liquid state. Manipulating the liquid crystal through thermal, acoustical, electrical, magnetic and even mechanical allows scientists to affect its light reflectivity. Crystals can generate electricity under pressure. When a crystal is slightly distorted and then allowed to spring back into place, it produces a slight electrical charge, according to Lois Van Wagner of Yale University. This effect can be used to regulate the flow of electrons in a transistor. Believers of the metaphysical properties of crystal use it to hold physical or emotional energy. According to the “Bodhi Tree Bookstore,” crystals placed in a room will regulate the metaphysical energies within that room. They must be cleansed of all their energies now and then and then charged with new energies to produce the desired metaphysical effects. Erickson, Michaelyn. "What Crystal Can Hold Electricity or Energy." Sciencing, https://sciencing.com/crystal-can-hold-electricity-energy-6886479.html. 13 March 2018.